We are very excited that you are visiting our Leader in Me Golf Outing website! It is our hope that you will choose to participate in our Golf Outing on August 4th in one way or another. We have several opportunities for sponsorships or come on out and enjoy a round of golf! The Leader in Me has been an integral part of the Chillicothe City Schools for the last four years and has allowed many students to "Find Their Voice"- Habit 8. If it weren't for the fundamentals that are inspired through the 7 Habits of Highly Effective People as authored but Stephen Covey and the Outstanding Staff at Chillicothe City Schools, many students would continue to get caught up in the traditional educational system. However with the tools that are brought forth through the Leader in Me and the 7 Habits, students and staff are empowered to do great things! If it weren't for the continued support of individuals, organizations and companies like you we would not be able to present our students with such inspiring tools for success! 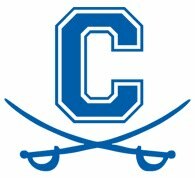 We thank you for partnering with Chillicothe City Schools as we continue to allow students to Find Their Voice which will allow them success in all their future endeavors. 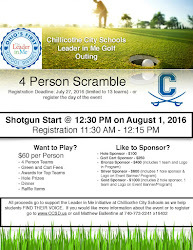 If at any time you have questions about the Leader in Me or the Golf Outing please don't hesitate to contact our Leader In Me District Coordinator, Matthew Ballentine (matthew.ballentine@ccsd.us) at 740-773-2241 x16402.